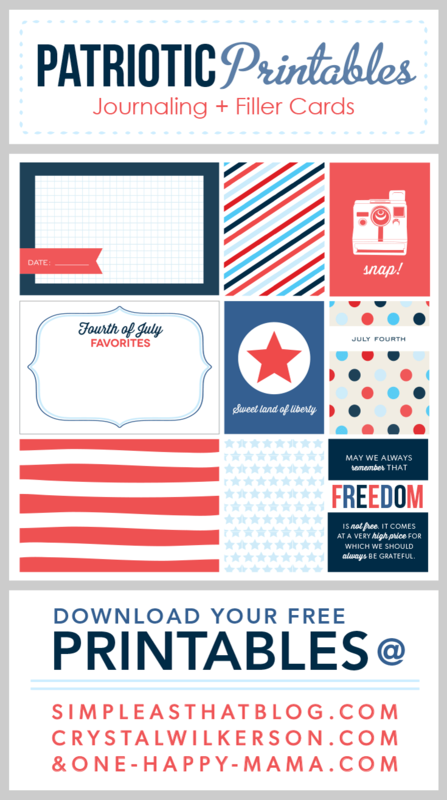 This month’s freebie is perfect to record all your patriotic memories. Be sure to grab all three parts to this kit by visiting Rebecca Cooper’s blog & Kristina Proffitt’s blog. You can download my part HERE. If you complete a project using our freebies we’d LOVE to see! Comment on this blog post with a link to your project or share with us on instagram using hashtag #FreebiesOnTheFifth. We’d love the chance to feature your beautiful creations on Pinterest or any of our other social media outlets! Thank you. It’s adorable. Do you do company logos? super adorable … can’t wait to print them out and use them!! Thank you for the journal cards … they’re awesome! Just thought I’d share a LO I created using your journal cards … thank you!